The visit of Pope Francis to the United States reminded us what is good about the Church: the pull of an ancient creed, the call to a purpose bigger than ourselves, and the comfort of belonging to a caring community. There are many leaders of important institutions, indeed heads of state, who wish their visits would generate the same excitement. That Catholics welcomed the Pope’s visit is to be expected. That so many others shared their sentiments—Protestants, who in the olden days rebelled against the Catholic Church for one reason or another; others of competing faiths; and possibly a considerable contingent with no faith at all—is the surprise. This large crowd, this contending mix of people, is a trust community. Trust communities are one in a continuum of social organizations. At one end are networks, which are largely nonhierarchical groups of loosely connected individuals. At the other end are institutions—like the Catholic Church—with hierarchies, formal rules and procedures, membership lists, budgets, and mission statements. In between are trust communities: groups with a shared cause or identity, held together by communication and exchange rather than common locale. Trust communities can be small. Our towns, counties, sports associations, civic societies, and cultural appreciation clubs are trust communities that are a powerful draw on our time, attention, and loyalty. Also, there are the global trust communities—now more easily accessible to all of us than before—like the Olympics, the World Cup, the environmental movement, or the fight for human rights. Trust communities are expansive and diverse. A nation’s trust community includes ministries and departments, the media who observe and report, the citizens who engage, the critics who complain, the rivals who compete, and the enemies who war against. Who is outside the trust community? Those who do not care, who pay no heed, and who are unaware. The challenge for many heads of state is to get attention and be relevant—in other words, to expand their trust community. 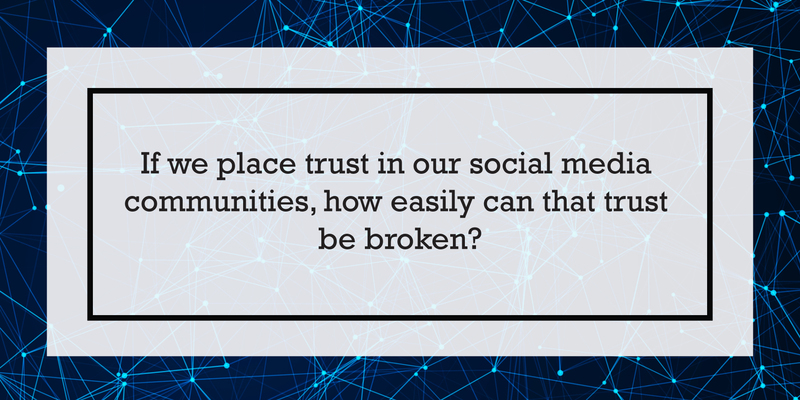 Trust communities are built on sharing stories and helping each other. Robert Putnam and Lewis Feldstein talked about the power of the personal narrative in building shared attitudes, values, and identities. Trading stories gives people a chance to discover commonality and build understanding. This can involve a visit in person, a timeline on Facebook, or even a Twitter feed. Talking and helping each other is also key. James Walker and Nobel Prize winner Elinor Ostrom used empirical experiments that showed communication substantially increased cooperation in many types of social dilemmas. Reciprocity builds trust. In the places the Pope visited, preparation required a lot of coordination. Volunteers and community chiefs, religious leaders, and school children all pitched in to help. The process of preparation, the reciprocity and storytelling involved, strengthened the trust community. 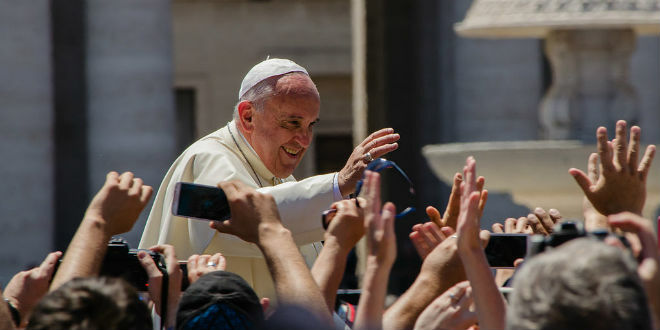 As the Pope continues to deliver his message, we will see how much social capital this trust community can build to propel forward the Church’s work. The Pope’s visit was a reminder that money and guns are not the only source of power in the world. Ideas, sharing, cooperation, and trust are forces to contend with as well. 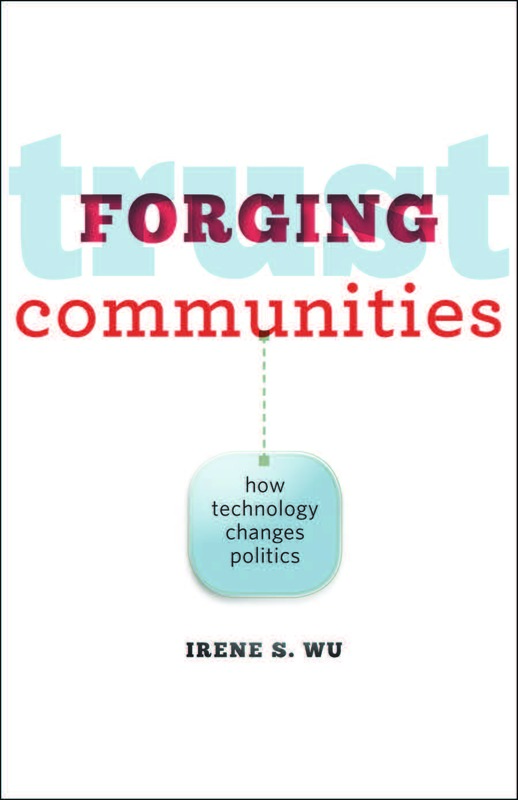 Irene S. Wu is the author of Forging Trust Communities: How Technology Changes Politics, published earlier this year by JHU Press. She teaches at Georgetown University and is an analyst at the Federal Communications Commission (FCC). The views she expresses are her own, and not of the FCC. when you order your copy of Forging Trust Communities. On Tuesday, September 15, President Obama issued an Executive Order encouraging federal agencies to use insights from behavioral science to inform the design and implementation of policies aimed at improving the lives of Americans. On the same day, the White House Social and Behavioral Sciences Team issued a report documenting collaborations with federal agencies over the past year that leveraged behavioral strategies to improve outcomes in areas ranging from health insurance enrollment to retirement savings among military personnel. These announcements by the Obama Administration come on the heels of several other important milestones over the last year, including the inaugural conference of the Behavioral Science and Policy Association and the publication of a directory of academics who focus on applying behavioral insights to address pressing societal issues. Simply put, behavioral sciences has entered the mainstream of American public policy innovation, development, and implementation. Change policies so that participating in important educational opportunities is the default condition rather than what students have to actively opt in to. Simplify information to help students and families understand their educational options and make choices that are well-suited to students’ personal abilities and circumstances. Prompt students to complete important tasks before they miss binding deadlines. Creatively leverage available student data to make outreach as personalized and salient as possible. Use delivery channels, like text messaging, that effectively reach students and their parents. In San Francisco, all incoming kindergarten families are automatically enrolled in a college savings plan. These accounts encourage families to begin saving for college at an early age, and more importantly, create a new cultural status quo that all children in the city are going to college. Pediatricians across the country now capitalize on well visits with infants and toddlers—a regularly scheduled occurrence for families across socioeconomic backgrounds—to promote early literacy with parents. Stanford researchers went a step further, sending parents weekly text message prompts with concrete literacy strategies they could practice at home with their children. Behaviorally-informed strategies continue as students advance in their schooling. In communities where families have a wide variety of choice in which elementary, middle, and high schools they attend, students and parents receive easy-to-digest brochures highlighting, with visual cues like star rating systems and school quality and academic performance information. Parents receive text messages and emails with personalized information about outstanding assignments their child still needs to complete. States from Maine to Illinois have made college entrance exams mandatory for all high school juniors so that students, regardless of their family’s education background, complete important milestones in the college application process. High school seniors receive text message prompts to apply for financial aid, and receive real-time updates if their application is incomplete and requires additional information. These behavioral interventions are in most cases very low cost, and consistently generate substantial and lasting improvements in both educational achievement and attainment. Behavioral insights are being applied to new educational challenges every day, like helping college students make more informed loan borrowing choices, and to new populations, such as nudging incarcerated youth and adults to continue their education. The Obama Administration’s support for and prioritization of these strategies ensures that creative applications of behavioral insights to improve the lives of American youth will only continue to gain momentum. 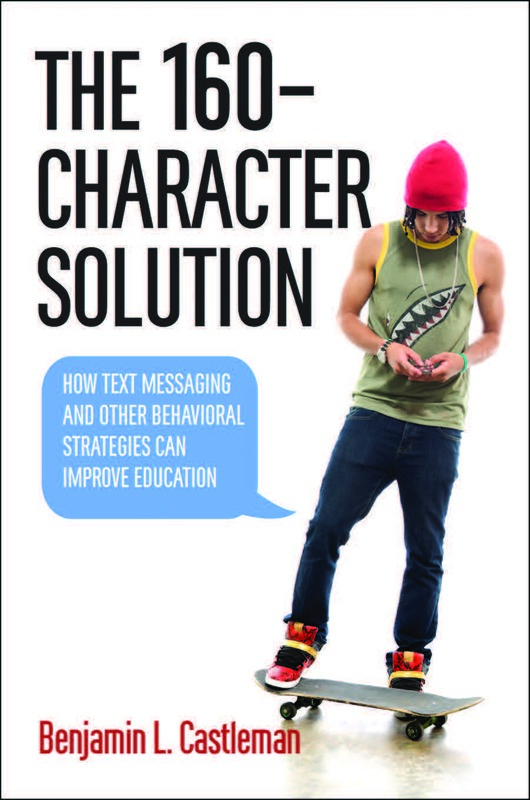 Benjamin L. Castleman is an assistant professor of education and public policy at the University of Virginia and the author of The 160-Character Solution: How Text Messaging and Other Behavioral Strategies Can Improve Education. Read more about the book and his research in Slate and the Huffington Post. Use promo code “HDPD” to receive a 30% discount when you order your copy of The 160-Character Solution. As a publicist, my days are consumed by social media. I post to our JHU Press Twitter and Facebook accounts, solicit content for our blog, and communicate with the media to schedule events and interviews. This position has allowed me the opportunity to connect with authors, reporters, corporate organizations, and fellow book lovers from around the world. There is a sort of safety that comes from this comradery. The WDBJ shooting on Wednesday seriously violated that level of trust. A real-time communication tool like Twitter allows each user to create his or her own social circles. JHU Press author Irene Wu calls these groups “trust communities.” The idea of trust communities, Dr. Wu writes in her book Forging Trust Communities: How Technology Changes Politics, “joins the ideas of network and community as a social group with the capacity to take collective action but without the rules and enforcement usually associated with institutions.” Sometimes that collective action takes root in social activism; in other cases, these networks provide support to a community physically separated by continents. Whatever your aims, twenty-first century media has allowed us the opportunity to open wide that circle of trust on a global scale. Identity is a person’s sense of self and may motivate a person’s actions. In his work on why people cooperate, Tom Tyler shows that there are two aspects of identity—social and emotional—that explain why an individual may cooperate in the interest of the community rather than acting selfishly. Both of these aspects of identity rest on a fundamental need of people to maintain a favorable and positive sense of self. Social identity is how people define their status through their membership in a group. The more strongly a person identifi es with the group, the more completely he or she merges individual goals with the group’s goals. Group membership also gives individuals a sense of pride and an expectation of respect from other members, both of which motivate people to cooperate. Seen from a different angle, people will avoid adopting signs that they belong to groups that are not respected—such as carrying a book by opposition politicians that are vilified by society—until a time comes when that opposition group gain respect. Emotional identity is another important aspect that explains people’s willingness to cooperate. Psychologists show that people have a fundamental need to have attachments to others and will act to maintain positive, significant personal relationships. Trust has many facets; the aspect most relevant to this study is trust that enables cooperation. Why is it that people trust each other enough to cooperate, when acting individually might be in their self-interest? Behavioral social scientists like Elinor Ostrom have conducted experiments that show trust can be the result of repeated interaction. For example, a series of communications can lead one partner to believe the other partner can be relied on to reciprocate. When such series multiply, people in a network begin to form expectations about others’ behavior. They trust each other, and then it is easier for them to cooperate. Social capital makes it easier for members of a community to take action together. It includes trust, norms, and networks, as Robert Putnam puts it in his works on collective action. Trust is the expectation that others will reciprocate. Norms identify when that reciprocity can be expected. Networks of civic engagement are those intense interactions across society in groups like neighborhood associations, sports leagues, and political parties. The boundaries of these networks define the scope of possible action. In Putnam’s analysis there are two kinds of social capital—bonding social capital among people who are similar, and bridging social capital among people who are not similar. It is bridging social capital that is the hardest to create and the most valuable when it comes to cooperation. The perversion of these three elements formed Vester Lee Flanagan’s social media plan. Flanagan’s own identity as a victim within the WDBJ organization lay at the center of his campaign. As a journalist, he was familiar with the trust factor within social media groups and understood how to curate his content in order to build an audience. Finally, the concept of social capital gained legs as the story broke on larger news venues. People in search of answers flocked to Flanagan’s Facebook page to better understand this tragedy. As Farhad Manjoo wrote in the New York Times, “[Flanagan] had been counting on the mechanics of these services and on our inability to resist passing on what he had posted. For many, that realization came too late. On these services, the killer knew, you often hit retweet, like or share before you realize just quite what you have done.” Flanagan’s run ultimately ended with his own suicide, and we are left with a shooting gone viral, the videos and posts of which will circle the Internet indefinitely. All shootings like this breed unease, but I can’t help but feel personally violated by Flanagan’s social media efforts. A system I have placed trust in has been used for a tool to broadcast a murderer’s agenda. That hits far too close to home, and makes me examine the trust community I’ve built on social media and the faith I place in its players. So, how to do we move forward? Conversations about the treatment of mental health and gun control policies are vital for change, and should continue until Washington takes action accordingly. Similar incidents have become disturbingly common in recent years, and it is obvious that action on these matters needs to be taken. But I think this is also a time to reflect on social media’s capacity both for good and for serious harm. Should we pause before sharing inflammatory content? Modern social media can be a source of encouragement and activism, and I think the wide-open nature of sites like Facebook and Twitter contribute to that positive force. But there are sharks in the water, and I think we need to be wary. Kathryn Marguy (@pubkat) is a publicist at Johns Hopkins University Press. Irene S. Wu is a senior analyst at the US Federal Communications Commission. 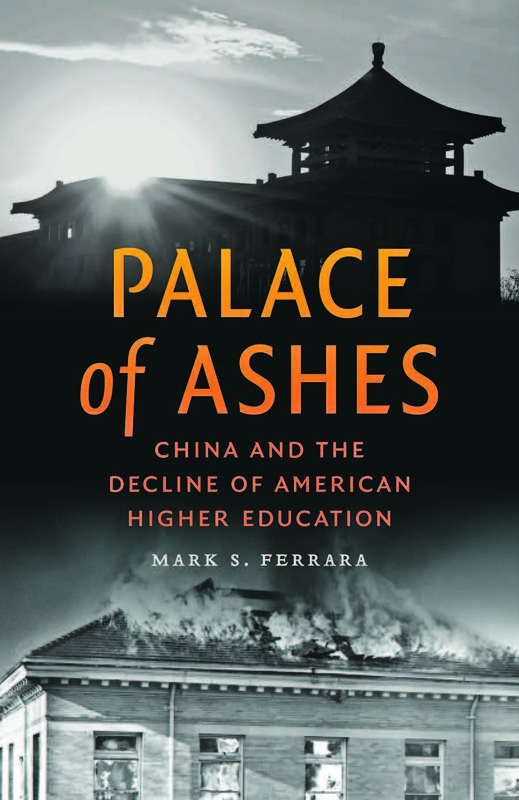 The author of Forging Trust Communities: How Technology Changes Politics and From Iron Fist to Invisible Hand: The Uneven Path of Telecommunications Reform in China, she teaches in the Communications, Culture & Technology Program at Georgetown University. It’s official: We’re in the dog days of summer. For some kids—particularly those from more affluent backgrounds—this means adventures at sleep-away camp, family vacations, and sports training programs; for older kids, it often means extended road trips to visit colleges. Other, less-advantaged children aren’t always so lucky. Out of school, with limited family resources, academic and extracurricular enrichment activities are often few and far between. Televisions replace teachers; Xbox 360s take the place of books. A growing body of research demonstrates that, come the next fall, lower-income children will have experienced substantial declines in student achievement from the previous spring. These declines—often referred to as the “summer slide”—can be a significant contributing factor to persistent academic achievement gaps by family income. How can we prevent the summer slide and ensure that all students have enriching (and hopefully fun) summers? One policy approach to level the playing field is to extend the school year so that lower-income students are spending more of the year engaged in learning. Another strategy is to pay for disadvantaged children to have the same memorable summer camp experiences as their richer peers. The Fresh Air Fund in New York City (where my mother was a counselor) is one such model. These approaches hold considerable merit, but they’re also resource-intensive, and hard to scale to all students who we’d like to have quality summer experiences. Recent work in the burgeoning field of behavioral economics and education suggests that low-cost, highly-scalable nudges should be added to policymakers’ toolkit of solutions for addressing summer learning loss. Nudges can take various forms, from simplified, actionable information that enables people to make active and informed decisions about the opportunities they pursue to prompts that help people follow through on their own intentions. In one recent nudge intervention, Susanna Loeb and Ben York at Stanford sent parents of preschool-age children text messages with simple, concrete literacy strategies they could practice at home. For instance, one text read, “Say two words to your child that start with the same sound, like happy and healthy. Ask: can you hear the ‘hhh’ sound in happy & healthy?” Each message cost a penny per student to send, but the children whose parents received these texts scored substantially higher on cognitive tests than children whose parents did not receive the texts. This type of messaging campaign could easily be adapted to provide parents of elementary-age children with specific, short activities to keep their kids academically engaged over the summer. Another role for behavioral solutions is to help students make the most out of summer school if they are required to attend. Parents can play an important role in helping their children stay focused and engaged during summer school, but often lack good information about what is required of their children or how they are performing. Researchers Matt Kraft and Todd Rogers designed an experiment in which they sent parents of children in summer school weekly messages providing information about how their child was doing. Some parents received messages emphasizing what their child was doing well; others received messages focused on what their child needed to improve. Interestingly, the “areas for improvement” information catalyzed parents to speak more frequently with their child about what actions they could take to do better; children in this group were substantially more likely to earn credit from their summer course. A little bit of targeted outreach over the summer can even make the difference in whether students successfully enroll in college or not. The summer after high school is a perfect storm for many college-intending, low-income high school graduates. They have to complete a complex array of financial and procedural tasks in order to successfully matriculate in college, yet are typically isolated from college advising. High school counselors typically don’t work over the summer, but students have frequently not yet engaged with supports available at their college. In work with my colleague Lindsay Page, we find that sending students a few simple text message reminders about tasks they have to complete over the summer and inviting students to write back to the texts if they need advising assistance can substantially increase the share of students that successfully enroll in college in the fall. It’s mid-July. Students have been out of school for weeks, and in most parts of the country the next academic year is still more than a month away. For many low-income students across the country, learning has already started to deteriorate, and without proactive intervention will continue to slide in the weeks to come. Behavioral solutions offer policymakers a low-cost, scalable solution to combat this learning loss and level the summer playing field between economically-disadvantaged students and their more affluent peers. Ben Castleman is an assistant professor of education and public policy at the University of Virginia. He is the author of the forthcoming book The 160-Character Solution: How Text Messaging and Other Behavioral Strategies Can Improve Education. Use promo code “HDPD” to receive a 30% discount on your pre-pub order of The 160-Character Solution. Books will be available in October. In The 160-Character Solution, Benjamin L. Castleman shows how insights from behavioral economics—the study of how social, cognitive, and emotional factors affect our decisions—can be leveraged to help students complete assignments, perform to their full potential on tests, and choose schools and colleges where they are well positioned for success. By employing behavioral strategies or “nudges,” Castleman shows, administrators, teachers, and parents can dramatically improve educational outcomes from preschool to college. 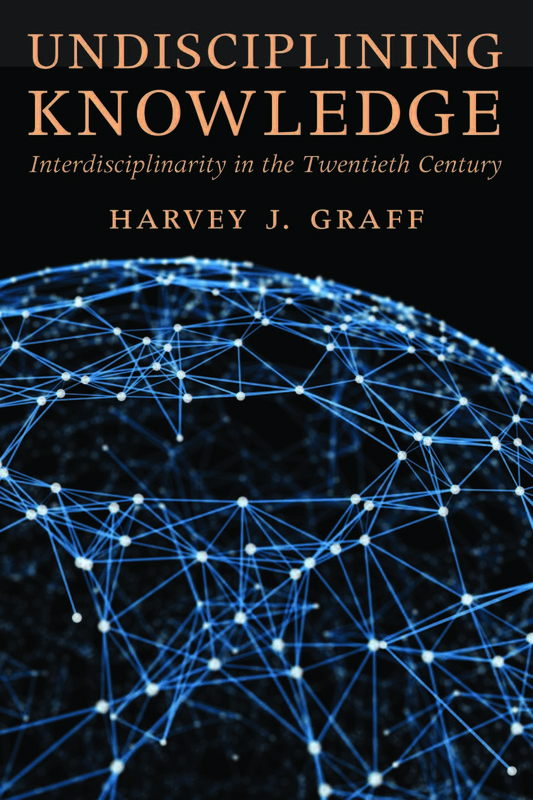 In Undisciplining Knowledge, acclaimed scholar Harvey J. Graff presents readers with the first comparative and critical history of interdisciplinary initiatives in the modern university. Arranged chronologically, the book tells the engaging story of how various academic fields both embraced and fought off efforts to share knowledge with other scholars. It is a story of myths, exaggerations, and misunderstandings, on all sides. Scholars across the disciplines, specialists in higher education, administrators, and interested readers will find the book’s multiple perspectives and practical advice on building and operating—and avoiding fallacies and errors—in interdisciplinary research and education invaluable. 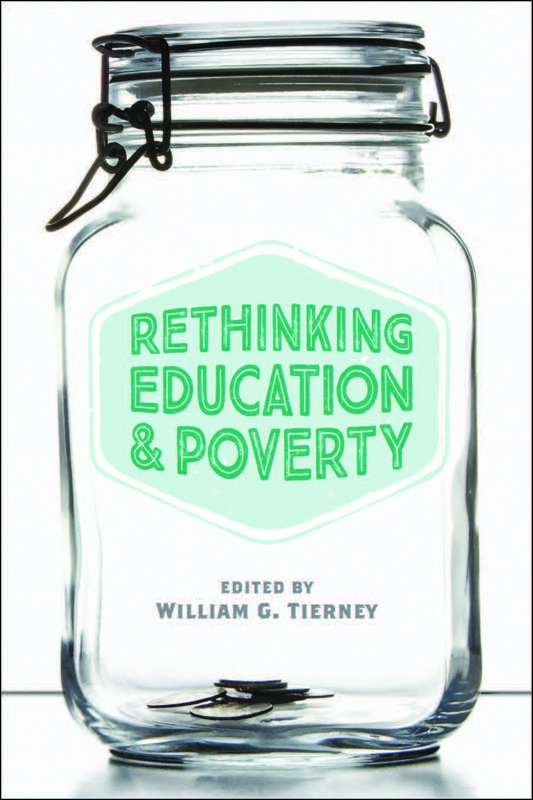 In remarkably nuanced ways, this volume examines education’s role as both a possible factor in perpetuating—and a tool for alleviating—entrenched poverty. Education has long been seen as a way out of poverty. Some critics, however, argue that educational systems mask inequality and perpetuate cycles of poverty and wealth; others believe that the innate resilience or intellectual ability of impoverished students is what allows those individuals to succeed. Rethinking Education and Poverty grapples in turn with the ramifications of each possibility. 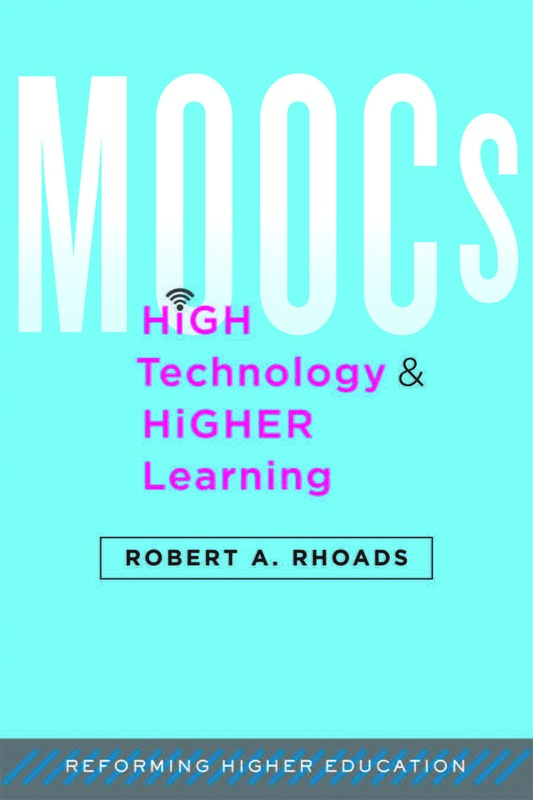 In MOOCs, High Technology, and Higher Learning, Robert A. Rhoads places the OpenCourseWare (OCW) movement into the larger context of a revolution in educational technology. In doing so, he seeks to bring greater balance to increasingly polarized discussions of massively open online courses (MOOCs) and show their ongoing relevance to reforming higher education and higher learning. edited by John Brooks Slaughter, Yu Tao, and Willie Pearson, Jr. In Changing the Face of Engineering, twenty-four eminent scholars address the underrepresentation of African Americans in engineering from a wide variety of disciplinary and professional perspectives while proposing workable classroom solutions and public policy initiatives. 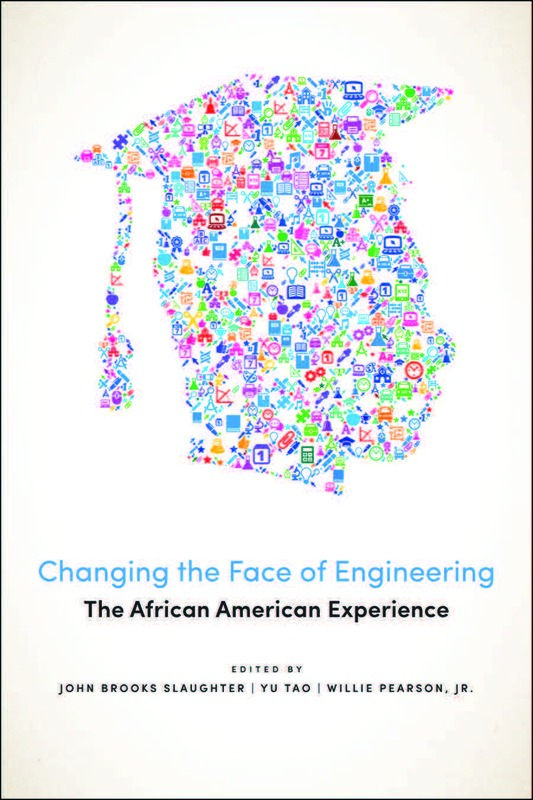 They combine robust statistical analyses with personal narratives of African American engineers and STEM instructors who, by taking evidenced-based approaches, have found success in graduating African American engineers. Enter code HDPD at checkout to receive a 30% discount on all books featured in this blog post or mention this code when calling in your order at 1-800-537-5487. Doris Iarovici, M.D., author of Mental Health Issues and the University Student, discusses the “antidepressant generation” in The New York Times Well Blog. “Access to well-trained health workers when you need them should not be an accident of geography,” say the coauthors of Noncommunicable Diseases in the Developing World, Jeffrey Sturchio and Louis Galambos, in The Huffington Post. John Eric Goff, author of Gold Medal Physics: The Science of Sports, discusses the redesign of the World Cup soccer ball on NPR’s All Things Considered. Washington and Baltimore Art Deco: A Design History of Neighboring Cities Art Deco buildings still lift their modernist principles and streamlined chrome into the skies of Baltimore and Washington, D.C.
Field Guide to the Natural World of Washington, D.C. A field guide to plants and animals commonly found in the nation’s capital. Stealing Cars: Technology and Society from the Model T to the Gran Torino Stealing cars has become as technologically advanced as the cars themselves. John Heitmann and Rebecca Morales tell a story that highlights both human creativity and some of the paradoxes of American life. Pain: A Political History Keith Wailoo examines why and how pain and compassionate relief has been a battleground for defining the line between society’s liberal trends and conservative tendencies. Wailoo describes his book as part of the Robert Wood Johnson What’s Next Health Series. Gene Jockeys: Life Science and the Rise of Biotech Enterprise Nicolas Rasmussen chronicles the scientific scramble to discover the first generation of drugs created through genetic engineering. Doctors Without Borders: Humanitarian Quests, Impossible Dreams of Médecins Sans Frontières An intimate portrait of the renowned international humanitarian organization. Enter code HDPD at checkout to receive a 30% discount on all books featured in this blog post, or mention this code when calling in your order at 1-800-537-5487. Dr. Gil Yosipovitch, coauthor of Living with Itch: A Patient’s Guide, was featured in The New York Times and The Philadelphia Inquirer. Health Check, a BBC World Service program, interviewed contributors to Amy Boesky’s The Story Within in a special episode on living with genetic disorders. Click here for more information or to hear podcast excerpts of The 36-Hour Day, audio edition. The complete book is available on eleven CDs, in a print edition, or as a download from Audible.com. Bipolar Disorder: A Guide for Patients and Families, 3rd ed. The vital resource for people with bipolar disorder and their loved ones, completely updated. F. Scott Fitzgerald’s Fiction: “An Almost Theatrical Innocence” In his personal tribute to F. Scott Fitzgerald’s novels and short stories, John T. Irwin offers an intricate vision of one of the most important writers in the American canon. Essential Readings in Evolutionary Biology This collection of classic publications offers a chronological history of evolutionary biology from Darwin to Watson and Crick to the present. Mental Health Issues and the University Student Case-based intervention strategies for mental health professionals working with college and university students. Forging China’s Military Might: A New Framework for Assessing Innovation Experts examine how innovation and technology are transforming China’s defense industry. The Boy Problem: Educating Boys in Urban America, 1870–1970 A historical perspective on the factors affecting boys’ relationships with school and the criminal justice system.